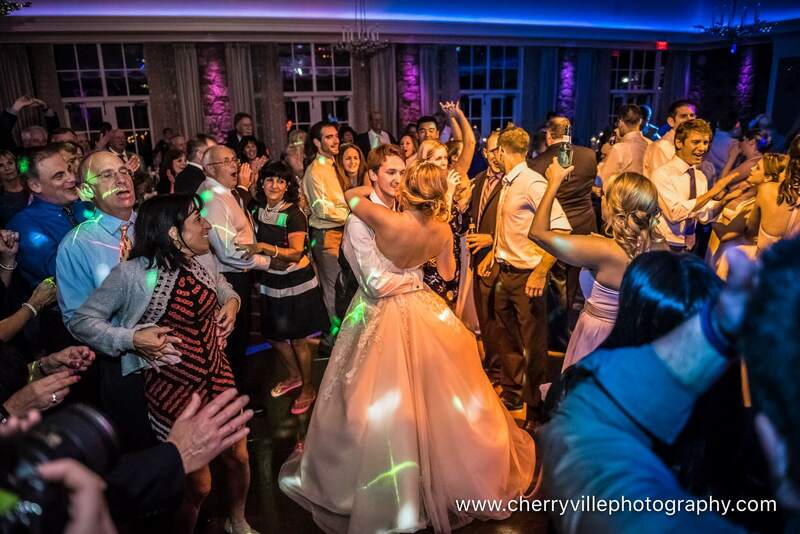 Leighann and Max tied the knot at the stunning Fiddler’s Elbow Country Club located in Bedminster, NJ. After the ‘I Do’s” were recited and sealed with a kiss, guests were ushered to the cocktail hour that was hosted on the venue’s adjoining patio. Guest sipped on cocktails and nibbled on pre-dinner snacks while enjoying the breathtaking views of the River Course and the Lamington River. The bridal party kicked off the night’s festivities by entering the Somerset Ballroom to LMFAO’s Party Rock Anthem. The new bride and groom quickly followed suit and made their grand entrance to 80’s favorite White Wedding by Billy Idol. 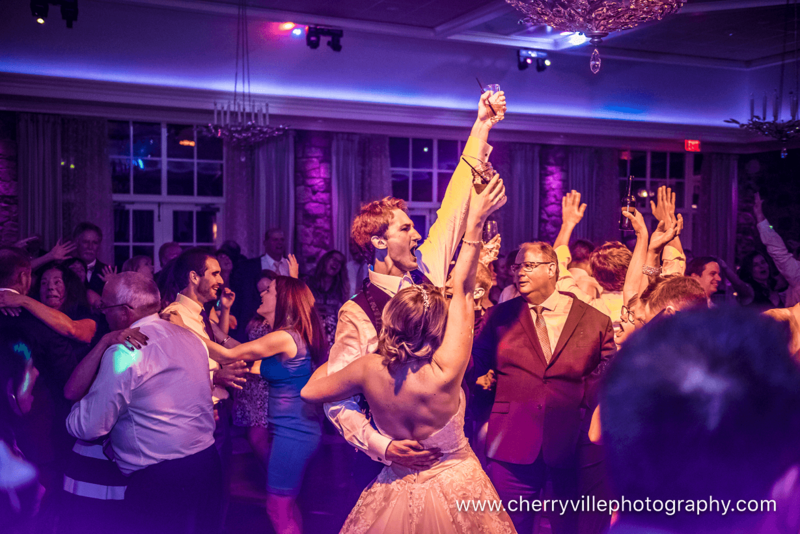 Max swept his bride up in his arms as they floated across the ballroom floor to Everything by Michael Buble. 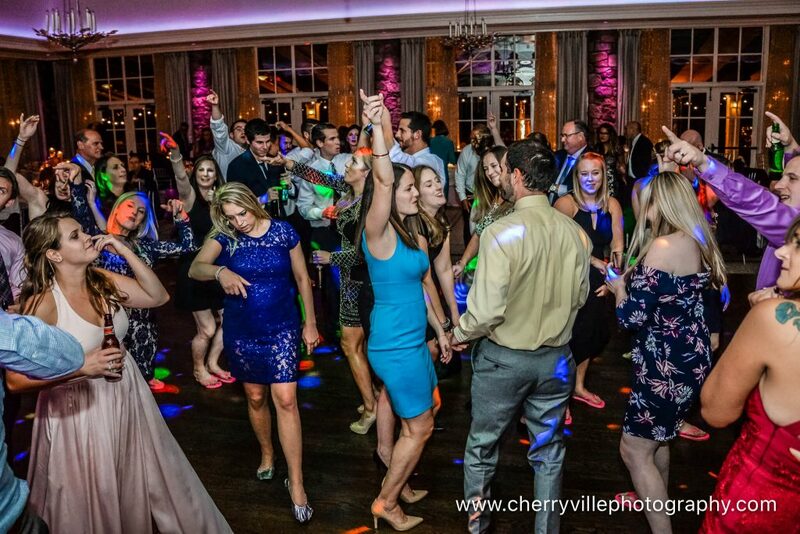 A minute into the dance, the bridal party joined the couple, and shortly after, the dance floor was filled with guests celebrating the union of these two love birds. Fast forward through dinner and we are now at the moment of decision: to smash the cake in his face or not. Our newlyweds opted to graciously feed one another their first bite of wedding cake to one another while Jason Mraz’s I’m Yours played in the background. Fast forward to a couple more cocktails deep, and we are at the coveted bouquet toss. Single ladies gathered around like NFL tackles to catch the bouquet that was tossed to Meghan Trainor’s Dear Future Husband. To cap off an evening of good food, beautiful views, and lots (and we mean lots) of dancing, festivities came to a close to NSYNC’s Bye Bye Bye and Journey’s Don’t Stop Believin’ (which had everyone singing along). Oh and did we mention, everyone left with some freshly made brick oven pizza? Yum! 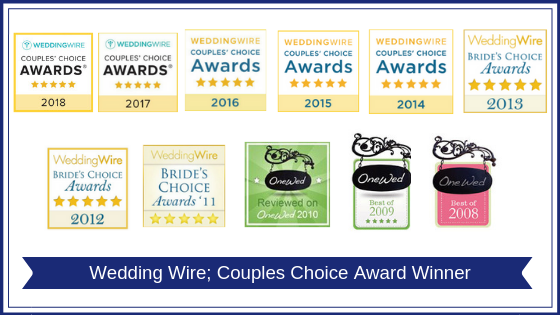 Check out what our couple had to say about us on The Knot….